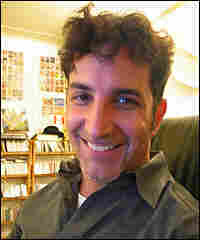 Dave Ambrose, Internet Radio Show Host Dave Ambrose hosts an Internet radio show devoted to what he calls "unpopular pop." Among the artists he's listening to are Fiona Apple, Wisely and Jon Brion. Every month, All Things Considered turns its programming chores over to listeners to find out what you're listening to. This week, we hear from Dave Ambrose, who hosts an Internet radio show devoted to what he calls "unpopular pop." Ambrose's first selection is "Go!" by the Los Angeles-based band Wisely. Ambrose calls the song "a fine example of some excellently crafted 'pop' music." *Selection is a 30-second excerpt. His second pick is "Get What It's About" by singer-songwriter-composer-producer Jon Brion. "If there was an entry in the Encyclopaedia Britannica under 'musical genius,' Jon Brion's picture would have to be there," Ambrose says. Brion, who has composed music for some of Hollywood's most creative directors, usually performs a one-man show on Friday nights at a small club in Los Angeles. "One never knows what might happen at a Jon Brion show," Ambrose says, "because Jon doesn't know either -- every week the show is a different spontaneous performance." For his last selection, Ambrose turned to the title track of Fiona Apple's still unreleased album Extraordinary Machine, which fans have been clamoring to hear. Ambrose calls the album "an incredible, deep and complex work."